Saks OFF 5TH Opens 18th Canadian Store: The Hudson’s Bay Company’s off-price division Saks OFF 5TH opened its 18th Canadian store last week at CF Market Mall in Calgary. The store spans about 26,600-square-feet. It’s Calgary’s second Saks OFF 5TH and a fourth for Alberta, as the retailer expands its operations across the country. Of the 18 stores in operation in Canada, six are in the Greater Toronto Area, two stores are in Ottawa, two are in Edmonton two are in Calgary, two are in the Vancouver area, and there’s one store in Niagara-on-the-Lake, Montreal, Winnipeg and Quebec City. It’s an impressive list, considering Saks OFF 5TH’s first Canadian stores opened in March of 2016. Parent company Hudson’s Bay Company had said that it plans to operate 25 Saks OFF 5TH stores in Canada by the end of this year, though it’s likely to take a bit longer given that it’s already September. The company says that it will be opening a store in downtown Montreal at the expanded Eaton Centre, though the project will be under construction until late 2019. The Hudson’s Bay company also operates luxury department store chain Saks Fifth Avenue and while they share a similar name, the divisions are separate and quite different. Full-line Saks stores are elevated in appearance, service and product assortment, and the company currently operates two of these in Toronto as well as a third in Calgary. A Montreal Saks store has been shelved for the time being an it’s unclear what’s happening with a planned Vancouver location. Saks OFF 5TH has some pretty steep competition in Canada. Nordstrom Rack plans to eventually operate up to 15 stores in Canada, and by the end of the year will have opened six locations in this country. TJX’s Winners/Marshalls is also expanding rapidly, taking advantage of retail space vacated by Target and Sears Canada. GOODLAD Launches Coffee, Clothing, and Cut Concept near Quay: Entrepreneurial trio Mike Hong, Shane Meier, and Christopher Glenn are bringing great coffee, contemporary clothing, and haircuts (respectively), to North Vancouver. The GOODLAD project combines all three under one roof for men who want to be able to buy clothes, grab a drink, and get a cut/shave all in less than an hour. Wanting to create a ‘stand-out shop,’ the trio used well-known and respected Cutler Design for the interior design of the space, which took over six months to complete. Conceived by Shane Meier (former child actor with memorable roles that include Clint Eastwood’s son in the Oscar-winning film ‘Unforgiven’ and Young MacGyver on TV’s ‘MacGyver’), who partnered with Brooklyn Clothing’s Jason Overbo and Howard Clothing’s Chris Martin, to bring in high-end denim like AG and Nudie, with Vancouver’s own Reigning Champ and Wings and Horns rounding out the brands. The concept is completed with barber Christopher Glenn, who brings the buzz to those coming in for a little off the top, and their coffee brewer is local West End Roaster. GOODLAD is located at 221 Esplanade at Chesterfield in North Vancouver, open 7 days a week, with varying hours. Cocoanista Engages Zenergy to Bring Designer Chocolate to 1,000,000 by 2024: Looking to bring chocolate happiness to 1,000,000 people by 2024, JACEK Chocolate Couture has engaged Zenergy Communications to make this mission a reality. Founded in 2009 in a basement in Sherwood Park, Alberta, JACEK was the result of Jacqueline Jacek unable to make the career choice between fashion designer or chocolatier. Unique amongst other chocolatiers, JACEK operates on a fashion business model, combining Jacek’s love of fashion and culinary arts to design and create limited seasonal collections of edible art to feast the eyes and taste buds. In the beginning, Jacek dubbed herself a ‘Cocoanista’ and nine years later has a production facility, three retail boutiques (Sherwood Park, Downtown Edmonton, and Canmore). Stockists include dozens of locations including Save-On-Foods, Credo Coffee, and numerous markets. Zenergy is a full service, bilingual marketing, and communications firm that ensures success through implementing effective and integrated initiatives. With offices in Montreal, Toronto and New York, as well as strategic alliances across Canada and the U.S. and a strong presence in the Canadian market, Zenergy is moving forward with an immediate focus on promoting the JACEK holiday collections. 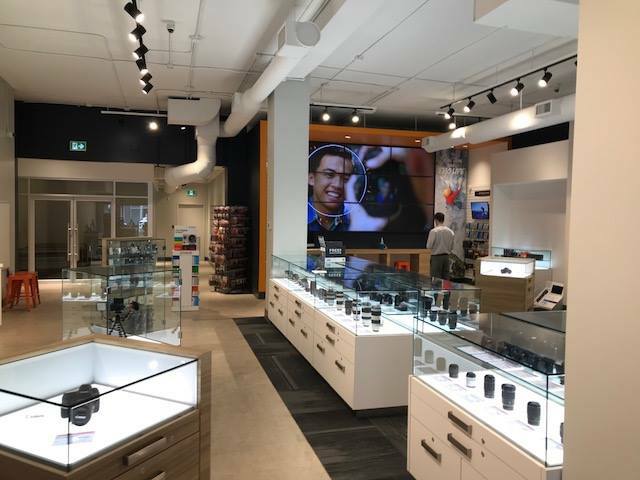 Henry's Cameras opens its first store in Vancouver: Toronto’s Henry’s Cameras has opened its first location in Vancouver at 555 West Broadway in the centre of the Cambie/West Broadway transit hub. Originally known as the location for Sport Mart, for many years it has sat empty behind blue industrial fencing when not being utilized for seasonal sales; such as for Halloween costumes and the occasional pop-up shop by Frank And Oak and others. Family-owned Henry’s, which was founded in Toronto in 1909, is now Canada’s largest independent photographic and digital retailer. Stocking over 15,000 products from industry stalwarts such as Nikon, Canon, Sony, Pentax, and Olympus, Henry’s employs over 500 people with 23 stores in Ontario, 2 stores in Nova Scotia, and a single store in Manitoba. Photos that accompanied the announcement show the format will be similar to the Ontario interiors with massive backlit images showcasing snapshots from various Canadian photographers. As well, the store’s back wall has a nine-panel TV wall to display various types of photography, as well as videos. 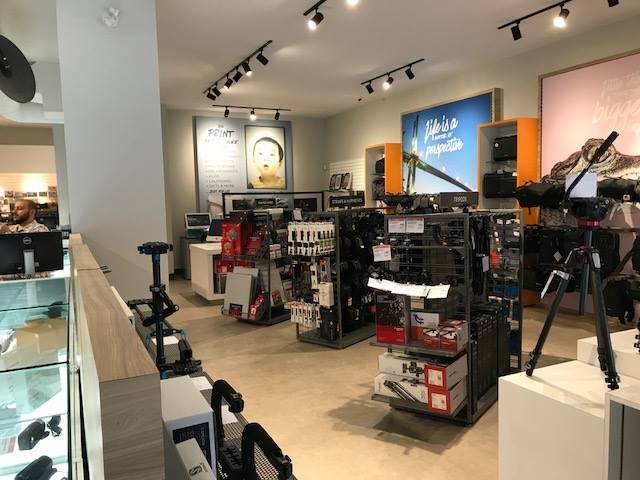 Photos in this article are of the Oakville flagship and were supplied by BUILD IT by Design, which built that store as well as several other Henry’s locations. International Trend Watch: IKEA Centres Innovates by Adding Park Space to Malls: International landlord IKEA, which operates a global portfolio of IKEA Centres, is unveiling major new modern parks and outdoor spaces across its portfolio of Russian malls. The state of the art parks and outdoor spaces mark a key milestone in IKEA Centres vision to transform its 14 MEGA branded Russian retail destinations into vibrant meeting places for the next generation and a more omni channel world. For example, a new MEGA Park has just opened at MEGA Rostov-on-Don following the opening of a MEGA Park at MEGA Dybenko last summer, and more are scheduled to open at other MEGAs in the coming months, including at MEGA Ekaterinburg and MEGA Khimki this fall. A new 29,000-square-foot public square was also unveiled at MEGA Kazan in 2016. These new spaces are significant local leisure destinations in their own right, and are a key part of IKEA Centres 2 billion EUR investment programme to upgrade its Russian malls. MEGA Parks are specially designed to be family friendly community destinations with something for everyone. Each park benefits from large areas for playing sports, work out zones and children’s playgrounds. Most MEGA Parks also have extensive event space ensuring local people can enjoy festivals and concerts in their leisure time. In addition, emphasis has been placed on creating much sought after attractive green spaces for walks, socializing and relaxing outdoors. The 100,000-square-foot MEGA Khimki’s MEGA Park is a particularly exciting place for ‘sporty types’. The park has its own multifunctional sports area with ideal space for multiple sports from basketball to mini football, and in the winter months will transform into an ice rink. There’s also a special running area good enough for professionals, and major spaces for exercise and yoga classes. An attractively designed central boulevard intelligently connects the park’s extensive facilities. 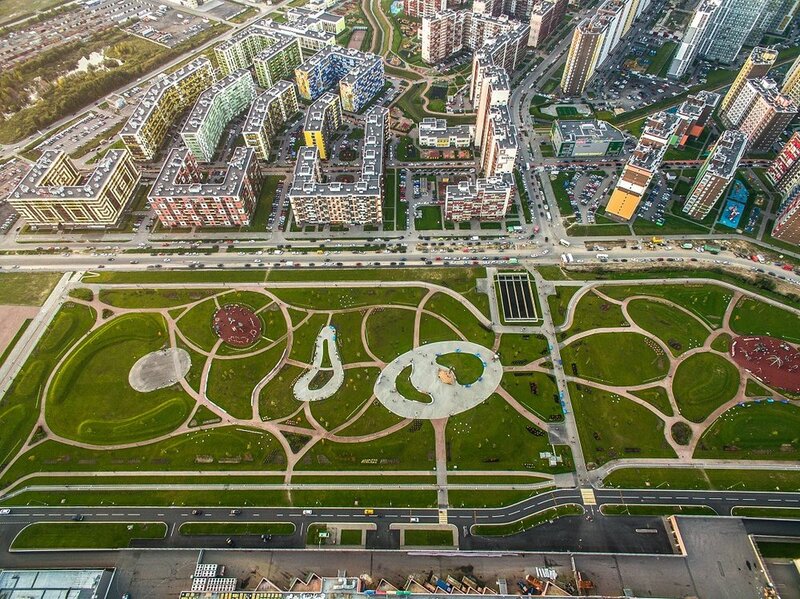 MEGA Rostov-on-Don’s 215,000-square-foot MEGA Park is another impressive outside space where visitors can relax, meet friends and play sports all year round. Over 1,800 trees and bushes have been planted within attractive walkways providing the surrounding community with an inspiring new green destination for relaxing walks. A multifunctional sports area will also open soon, along with a skate park. MEGA URBAN FEST, an urban festival with artists, DJs and dancers has also just taken place and was extremely popular with locals. Finally, an enormous new park is set to launch at MEGA Ekaterinburg this autumn. Spread over 1,075,000-square-feet, it will be a significant new leisure destination with considerable space for sports and events like concerts, family festivals and open air cinemas. But IKEA Centres isn’t just building new parks, a new square has just been unveiled at MEGA Kazan. Specially designed to host a multitude of family activities and events all year round with a striking illuminated fountain at its heart, the square is set to become one of Kazan’s most popular new locations for recreation. Shopping centres are gathering places and Canadian landlords are watching international trends. Will we see more parks in Canadian malls? It’s likely — Vancouver’s Oakridge Centre will feature an impressive expanse as well as residential and other uses, as malls become community centres in their own right. #AWORLDUNDIVIDED Campaign Launched with 35-Year-Old Mondetta Designs: It was 35 years ago, that ‘The World Shirt’ was launched by Mondetta Designs. The global apparel brand is now reviving the much-loved iconic sweatshirts with a luxe version designed to tap into an individual’s history. Available online at mondettaoriginals.ca, and in selected Below The Belt stores in Canada, the brand chose to premier its launch collection for an exclusive period in its home country before expanding globally later this fall. At the time of launch, the World Shirt will be available bearing the embroidered patch of seven different nations – Canada, Italy, Mexico, Great Britain, Germany, The United States, and the EU. The cotton crewneck sweatshirt will have the country abbreviation letters on the back and a removable, sleeve button-down patch allowing for further customization. Included in the 170 crest selection are cause-related crests such as the Rainbow, European Union, and Earth flags. Mondetta Originals will launch the #AWORLDUNDIVIDED campaign solely in Canada as it honours the nation that opened their doors to them after being forced out of Uganda by dictator Idi Amin, and offered their family and friends an opportunity of a lifetime. It was in Canada that the brand was born, and still calls home. Digital Watch Company Tissot Swiss Watches Launches Canadian e-Commerce: The 165-year-old Canadian watch company Tissot Swiss has announced its Canadian e-commerce launch which will see watch aficionados having access to the largest Tissot stock in the country. The e-commerce website allows Canadians greater access to the brand through a seamless shopping experience including exclusive offers and news through their e-newsletter service. The official online store will sell all of the current Tissot collections and will offer unique services to Canadian buyers such as same day shipment (when orders are approved by 12 pm EST (Monday-Friday), complimentary delivery with product arrival between 1 - 3 business days, and no-fee returns within 30 days after delivery date. With the launch, Tissot will highlight their Everytime Swissmatic family which features trendy, minimal designs with a wide choice of straps. To further hype the Canadian launch, the company is offering a free Tissot RFID protection card holder with every order placed on their e-commerce site within the first month. ‘Rediscover Your Roots’ as KÉRASTASE PARIS Debuts at Sephora Canada: KÉRASTASE PARIS is inviting shoppers to celebrate the launch of their first luxury-retail partnership with Sephora Canada. The product line will be available online and six retail locations across Canada will also take part in the roll-out: 77 Bloor Street, CF Toronto Eaton Centre, CF Sherway Gardens, Yorkdale (all 5 are in Toronto) CF Pacific Centre (Vancouver), and CF Market Mall (Calgary). KÉRASTASE is a premium, luxury hair care line developed in 1964 by L'Oréal. With 15 product lines formulated for all different types of hair, this exclusive partnership will provide Canadian consumers with increased access to the KÉRASTASE hair collections. In stores, Sephora beauty advisors are trained to educate the customer on the KÉRASTASE basics, providing them with a diagnostic for the in-salon program best suited to their hair-type, including a recommendation of a personalized home-care routine. 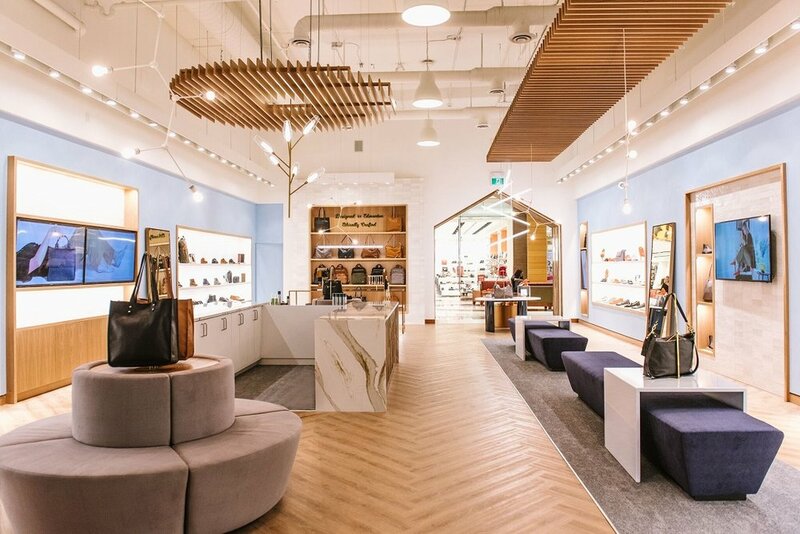 Poppy Barley Unveils Overhauled Edmonton Flagship: About a year after opening its first permanent store at Edmonton’s Southgate Centre, bespoke footwear company Poppy Barley has reopened its space with a fresh new look. The 2,300 square foot store marks a shift for the brand, as it showcases its first capsule collection of heels and pumps, revamping its Calf Fitted Boots, as well as releasing its largest collection to date, according to the company. Poppy Barley was founded in 2012 by sisters Justine and Kendall Barber, creating bespoke shoes for women. The brand, known for their distinct colours and unique eye for detail, eschews the traditional ready-to-wear line in favour of bespoke shoes, which are designed and created online by their clientele. A Calgary store is expected next. Jeri Brodie of Aurora Realty Consultants is mandated to secure the location.